If you’re a parent who’s concerned about your child’s well being, you might be on the lookout for Katy TX Self Defense Classes For Kids. Are you beginning to worry about your son or daughter’s ability to fight back in the event of an attempted kidnapping or assault? 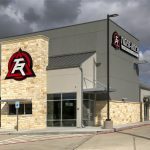 If so, Tiger-Rock Martial Arts is a great place for them to study. We have a team of certified instructors who are able to provide you and your kids with the tools and skills you need to properly defend yourself. Tiger-Rock Martial Arts is a martial arts franchise that was founded back in 1983. 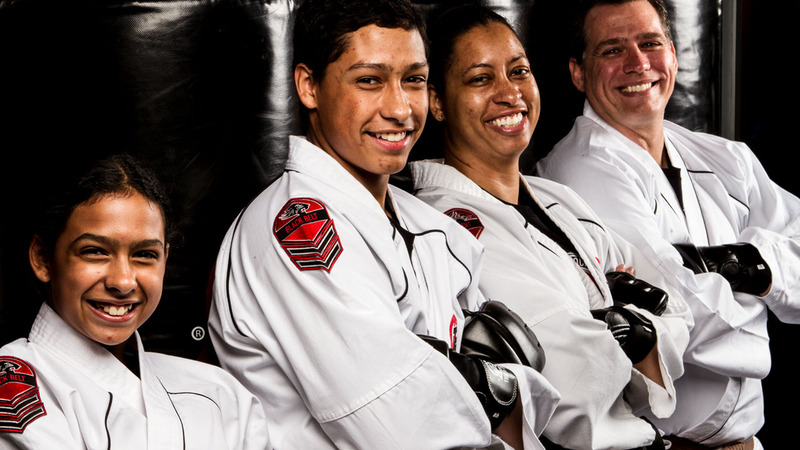 We are currently the biggest karate franchise in America, and we continue to grow. 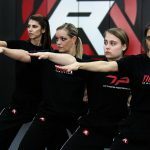 Our brand attracts some of the best martial arts instructors in the country, and you’ll be able to count on our programs to help you grow. We’re always looking forward to signing up new students, and we want to help you complete your transformation. In today’s society, it’s absolutely critical to make sure you get the most out of whatever karate class you sign up for. While this is a great way to get some extra exercise throughout the weekend, there’s much more to life than cardio and core strengthening. Do you have a child that walks to school on a regular basis? Maybe you sometimes ride the bus home from work late at night and you’ve been noticing some suspicious characters. If so, it’s important for you to get enrolled in a self-defense course as soon as possible. Our Katy TX Self Defense Classes For Kids are available for adolescents 14 and up. Are you a man or woman who is trying to learn how to deal with real-life combat scenarios? If so, you’ll be able to count on our professionals to help you do just that. We want our students to understand how to defend themselves in the real world. If you’re walking home from school or work and an armed assailant approaches you, you won’t have much time to think. Therefore, it’s important you have the necessary training that provides you with the skills you’ll need to react quickly. We want you to be prepared both mentally and physically to handle situations like these. Keep in mind that our instructors are going to push you so you can be ready for real-life situations. Even a split second of hesitation or reluctance can cause your situation to go south quickly. If you’re ready to start training yourself to properly handle a potential assault, call us today. We can give you more information on our many class times and time slots so you can sign up for a session. Are you someone who begins to doubt their physical fitness at the worst times? Maybe you have felt weak and slow over the past couple of weeks, and you have no idea how you’re going to overcome these feelings of doubt. If you’re ready to make your circumstance better, we suggest committing yourself to our dojo. Physicality is a big part of martial arts, and it’s not something that should be ignored. Our servicemen can make sure you have the right resources and classes on your side so you can maximize your positive benefits. We understand that physical capabilities can be extremely important. Weakness is not something that should be on display in the dojo, and we want to install strength and discipline in our students. If you’re beginning to take on our striking and kicking drills, you’ll see your strength and stamina improve within weeks. Even though these might seem mundane and unimportant, your body will respond to these exercises as long as you keep your intensity level high. We also understand that mental benefits are a part of our programs as well. Are you someone who really cares about fortifying mental toughness? Perhaps you’re having lots of thoughts of doubt recently, and you have no idea how to fight back against this. If this sounds like you and you don’t know what to do next, we can help. Our dojo promotes discipline and integrity. If you’re beginning to have some problems that affect your body and mind, our certified instructors can help you improve. Something else we like to encourage is friendly competition. TRMA is a dojo that believes in healthy competitiveness. Do you like to spar, but you don’t know how you’re going to find an opponent? If so, you can count on our nationwide tournaments to be exactly what you’re looking for. These events can pair you up with a similarly skilled student for you to face. This is a great way to sharpen your skills and identify what you can improve. Contact TRMA for details on our classes! Katy TX Self Defense Classes For Kids are absolutely vital if you want your child to be prepared to defend him or herself when trouble strikes. While all parents want to be there for their children, it’s important to realize that part of parenting is equipping your offspring with the tools they’ll need to move on and become young adults. If you’re ready to start getting to the bottom of your situation, we’re here to help. Call our dojo today! Did you know that Katy, Texas started out as Cane Island, Texas? This took place back in the 1800s. It was named after a creek near the famous Buffalo Bayou. The Great Galveston Hurricane was a disaster that greatly affected Katy, but we are still striving in spite. We lost numerous buildings, but the Katy Mills Mall still stands! Katy, Texas is located right in the middle of the Sugar Land-The Woodlands-Houston metro area. In the early 1900s, Katy was actually a great place for farming. We had numerous commodity crops that made our local farmers a lot of money for a while. Nowadays, we are moving onto modern business ventures such as BP America and other Fortune 500 companies. The population of our city usually hovers around 15,000.